Attention paid to improving so-called 'end-use' energy efficiency in the EU led to the introduction of energy labels for large electrical appliances and a progressive phase-out of energy-guzzling light bulbs. With this legislation already in place, debate in Brussels is shifting away from consumer-driven measures towards new ways of encouraging governments and regions to address sustainability issues at source: so-called 'supply-side' efficiency. The global energy system is incredibly wasteful. GE Energy estimates that from a total primary energy input for electricity production of 49,555 TWh, only 15,623 TWh of electricity was delivered to customers worldwide. Examples of possible action include encouraging greener methods of power generation, support for renewable energies, and helping countries and regions to improve their existing infrastructure, for example by making coal power stations cleaner. Regions will play a major role in changing the energy landscape of Europe, with sub-national actors set to determine the mix of fuels – such as oil, gas, coal or renewable energy – which will be necessary to contribute to energy security and sustainable economic growth. In its Energy Efficiency Plan, published in March 2011, the European Commission called on EU member states to extend their energy-efficiency policies to cover not just the 'demand side' but also the 'supply side' of the energy chain: bringing on board the production and delivery sectors too. "Despite progress, our estimates show that we need a further decisive and coordinated action on energy efficiency, without which the EU will not meet its objective of 20% energy savings by 2020," said Energy Commissioner Günther Oettinger when unveiling the plan. Not only should national energy policies address how energy can be efficiently consumed, but also how it can be efficiently produced, the Commission argues. "New generation capacity and infrastructure needs to be built to replace ageing equipment and meet demand. It is important to ensure that energy efficiency is taken into account and that new capacity reflects the best available technology (BAT)," the document states. Should progress prove unsatisfactory, the Commission makes clear that it will not shy away from tabling legislation requiring member states to ensure that new power generation installations make use of BATs. 30% of the EU's primary energy consumption is consumed by the energy sector, both for transforming energy into electricity and heat, and for distributing it. The EU executive is committed to exploring how to recover heat losses from electricity and industrial production processes. 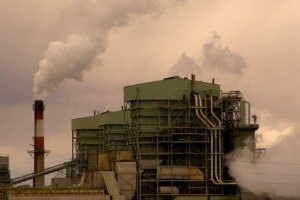 "Unused energy-saving potential is far from being exhausted and could cover a significant part of Europe's thermal energy needs," the Energy Efficiency Plan argues, calling for greater use of techniques such as co-generation, district heating and cooling, and combined heat and power systems to help Europe achieve its goals. The Commission has also vowed to strengthen the basis for national grid regulators to take energy efficiency into account in their decisions and in monitoring the management and operation of gas and electricity grids and markets. The plan states that energy efficiency priorities should also be reflected in network regulations and tariffs. Analysis by Delta Energy & Environment comparing the primary energy-saving benefits of supply-side efficiency measures with demand-side ones in the UK and Poland revealed that the benefits of supply-side measures were still comparable in scale to the demand side. In France, the UK and Poland, Delta estimates that supply-side options can contribute up to 32% of the overall goal of a 20% carbon emission reduction and up to 26% of an overall goal to reduce primary energy consumption by 20%. Fuel switching in Europe's power sector, for example from coal to natural gas. Optimising the efficiency of the continent's power plants. Combined heat and power generation (CHP; see EURACTIV LinksDossier), whether in residential projects on a micro scale or for large-scale industrial installations. Smart-grid technologies have the potential to influence consumer behaviour by providing continuous diagnostics of energy consumption in buildings (see EURACTIV LinksDossier). Smart grids and meters will serve as a backbone for smart appliances, such as freezers which defrost during the night when electricity is cheaper. Smart technologies can detect degradation of heating, cooling and energy management systems early on by providing diagnostic services in residential and commercial properties. They are also a key feature of the low-carbon electricity system required for a larger share of renewables in the EU's energy mix and to power more electric cars. The Commission's 2050 roadmap for a competitive low-carbon economy obliges member states to roll out smart electricity meters for at least 80% of final consumers by 2020. But while efforts to roll out smart grids are much discussed in Brussels policymaking circles, the idea is yet to gain significant traction across Europe and many member states still have little to no national framework for smart-grid development. Improving the efficiency of power plants can play a central role in the transition to a low-carbon economy. The European Commission estimates that the industry can almost totally eliminate carbon dioxide emissions by 2050, while the share of low-carbon technologies in the bloc's electricity mix is expected to increase from around 45% today to around 60% in 2020. In the long term, new power plants based on renewable fuels and other cleaner-burning options are part of the solution, but in the meantime significant steps can be taken to improve the performance of existing power generators. Technology upgrades, performance monitoring and minimising the number of times a plant switches on and off are three ways in which power-plant efficiency can be improved. Possible technology upgrades include new means of minimising leaks and losses, which can increase the output of turbines. However, the economic rationale for improving existing plants is not always clear: neither the operation of Europe's electricity markets nor the level of the carbon price is sufficient to entice plant owners to invest in efficiency improvements. Moreover, efficiency losses are often not identified, meaning that they are not addressed. The current market operates on the basis of cost rather than energy or carbon efficiency. In Eastern Europe in particular, regions can reduce their carbon emissions and improve their energy efficiency by replacing ageing coal generators with new combined-cycle gas turbines, without needing to build new power plants. Coal plants emit twice as much CO2 per kilowatt hour of generation as gas-fired turbines. The typical operational efficiency of a new combined-cycle gas turbine plant is about 50%, while a 25-year-old coal plant has a typical operational efficiency of 35% or less. Poland, where electricity generation is dominated by coal (over 90%), is a case in point. The majority of Polish power plants are over 30 years old and only 7.5 gigawatts of new generation has been built since 1990 – all of which has been coal. Research by Delta suggests that switching from coal to gas would benefit Poland's economy while reducing its carbon footprint in a coast-effective manner: for example, building a 3.6 gigawatt combined-cycle gas turbine plant would generate around 3,500 new jobs in construction, operation and maintenance. Meanwhile, the Polish region of Lower Silesia – where there is little room for wind farms – is planning to build new biogas power plants to replace old, coal-fired installations. Europe's regions are well-positioned to turn political commitments made at European and national level, which create the momentum for change, into concrete action. Innovative financing programmes, contracts for energy performance, public markets and green certificates will all help regions to achieve their goal of increasing energy savings. In Switzerland, for example, the canton of Valais has put in place an economic stimulus package targeting energy efficiency improvements and green energy production, while in Hungary, the Békés region is focusing on energy security by directing funding at projects of strategic importance, like gas procurement. Such projects prove that it is possible to combine energy technology with the dynamics of the macro-economy, and that energy savings produce financial savings too. Local industry can also participate in field agreements to help it to conform to Europe's trading scheme for greenhouse gas emissions. Regions are also establishing new partnerships to optimise the resources made available through the European Union. For example, some have created special regional agencies for energy conversion to distribute information and secure the support of stakeholders working in the energy sector. The European Commission receives some 60 applications a year from public authorities seeking to create regional energy agencies. The agencies ensure that different territorial characteristics are taken into account when translating into law the energy policies of the EU. They also aim to help foster cooperation and dialogue between public and private actors keen on cooperating on green or sustainable development projects. "In the context of uncertainty concerning the capacity of self-financing of these agencies, the European Union should consider extending financing through the programme 'European Intelligent Energy' or help them create partnerships through which agencies could put in place profitable activities," argues Michèle Sabban, president of the Assembly of European Regions (AER), the largest independent network of regions in Europe. 77% of 67 regions surveyed by the AER are already employing their own environmental strategies. By so doing, these regions can boost the development of a low-carbon economy by creating the thousands of new jobs, skills and economic clusters that are the key to ensuring that the necessary infrastructure investment takes place. Brussels, meanwhile, plays a key role in encouraging regions to adopt greener policies. "When we created our energy strategy, we looked to Brussels, then we looked to Berlin. Two or three years ago, Berlin didn't have its own energy strategy," said Karl Greissing, director and head of the Department for Energy Policy and Buildings in the German state of Baden-Württemberg. The state is supporting the development of 100 'bio-energy villages'. The village of Mauenheim, for example, already had a biogas plant that produced electricity and heat, but lost heat was not recovered. "We helped the village to recover the lost heat. They are now saving 300,000 litres of oil a year. At the current price of oil (90 cents per litre), that means more than €270,000 in savings, and that money stays in the region," said Greissing. Baden-Württemberg is also making good progress increasing the share of renewable energies in the fields of electricity and heating, which officials put down to the fact that it has set itself concrete targets. "In these two areas, we have real targets. In the other components of our strategy, we don't have targets. For example, for energy-related research, it's difficult to have exact targets. We spend money for research, but the results are difficult to quantify," said Greissing. Money allocated to European regions under the EU's structural funds plays a vital role in helping them to finance projects that benefit the environment. "These funds are still vital for the greening of our territories, the development of clean energy sources and renewable energy," said AER President Sabban, stressing that this was especially true for the new Central and Eastern European EU countries and candidate members, "for which the structural funds offer opportunities previously non-existent". However, the regional chief said a lack of clarity about eligibility criteria and a lack of information regarding the relative weight of different criteria in the selection process put a disproportionate burden on regional administrations. Sabban also said that communication about newer financial instruments made available by the European Commission and the European Investment Bank – namely Jessica, Jaspers and Elena – was insufficient. "These instruments are still largely unknown," she said. More workers will be required to produce this new infrastructure too. There are currently fewer than half of the 2.5 million qualified construction workers that the Commission estimates will be needed by 2015 to build and refurbish energy-efficient homes and office buildings. Regions that are flying the flag for energy efficiency include Austria's Steiermark, where the DaWindSchi project aims to convince residents of the benefits of wind energy by using existing ski infrastructure to boost the non-intrusive integration of wind farms into the countryside. Other Austrian regions are developing sustainable communities by awarding energy certificates to those with the best environmental performance. Meanwhile, a well-crafted land management policy has allowed the Dutch province of Flevoland to mitigate public opposition to wind farms. Flevoland also has a scheme for funding technical and environmental innovations. Officials in Portugal's Azores and South Denmark have created so-called 'Power Clusters' to foster brainstorming. In the UK, Hampshire wants to form its own power-generating company to sell electricity to the national grid. The county is aiming to become carbon neutral by 2050. The county council is investigating the feasibility of producing its own heat for public buildings, schools and hospitals in the towns of Basingstoke and Winchester, as well as selling the excess power. The heat would be produced with a gas-fired generator and eventually converted to biofuels. But before any of this can be achieved, Hampshire must set up a legal entity with a governing structure, get regulatory approvals, and apply for grants and loans. The county considered seeking assistance under the EU's European Local Energy Assistance (ELENA) facility, but decided that it required too much time and paperwork. "The hurdles and timeframes are such that by the time there's an agreement, the opportunity is gone to get the job done. There is too much bureaucracy," said Mel Kendal, a councillor in Hampshire (UK) and a member of the county's Climate Change Commission. Research is also expected to play a critical role in finding new solutions to efficiency challenges related to both consumption and production. EU efforts in this regard include the Strategic Energy Technology (SET) Plan and the Framework Programme for Research, which has so far financed 200 projects worth a total contribution of €1 billion. In France, for example, a project for fighting climate change and for sustainable development in the Midi-Pyrénées region, known by its French acronym PRELUDE II, has a total budget of €48 million for seven years (2007-2013). The plan is designed to promote low-consuming and efficient energy, develop renewable energy sources according to the principle resources of the area – solar energy, wood, wind and geothermal – and help change the behaviour of consumers and industry alike. But the project was beset by obstacles and delays in its early stages, suggesting that converting ambitious goals into concrete plans that are accessible and sector-specific is not easy. Uncertainty over the future of European funding for the post-2013 period, meanwhile, means that many aspects of the programme will have to be renegotiated soon, Casties said. "We don't pretend to be a model," she added. The construction of new buildings across Europe and the renovation of old ones could generate some of the greatest gains in energy efficiency and savings. The Commission's Energy Efficiency Plan focuses on instruments to trigger the renovation of public and private buildings and improve the energy performance of appliances. The proposal, unveiled in March 2011, includes plans to take steps to require public authorities to refurbish at least 3% of their buildings (by floor area) each year – about twice the current rate. But in many regions a lack of training courses for the architects, engineers, auditors, craftsmen and technicians required to refurbish buildings is hampering progress. Around 1.1 million qualified workers are available in the EU today, less than half the number that the European Commission estimates will be needed by 2015. To boost training, the Commission is launching the 'BUILD UP Skills: Sustainable Building Workforce Initiative' to help member states to assess, develop and support training schemes. Meanwhile, over 2,000 cities have volunteered to implement sustainable energy measures via the EU-backed Covenant of Mayors, which includes a 'Smart Cities and Smart Communities' initiative to develop a framework for excellence in innovative low-carbon and efficient-energy solutions at municipal level. Europe is awash with good ideas being implemented by its regions, but it remains to be seen whether others can learn from these examples and help the EU as a whole to achieve its energy efficiency targets. "New generation capacity and infrastructure needs to be built to replace ageing equipment and meet demand. It is important to ensure that energy efficiency is taken into account and that new capacity reflects the best available technology (BAT)," argues the European Commission in its Energy Efficiency Action Plan 2011. "All forecasts point to rising European demand for electricity in the coming decades, net of expected demand-side efficiency and conservation gains. It is in this scenario that a reinvigoration of supply-side opportunities or more resource-efficient electric power generation and delivery can be seen for what it is – a strategic imperative for Europe," said Ricardo Cordoba, president of GE Energy for Western Europe and North Africa. "Many of the technical, supply-side options are proven, cost-effective and reliable technologies that are already commercially deployed. However their potential has yet to be fully realised," Cordoba added. Households should expect their electricity bills to rise as Europe switches to cleaner energy and ageing power grids are gradually being replaced by new 'intelligent' ones, Bob Gilligan, vice-president for the 'Digital Energy' business at GE Energy Services, told EURACTIV in an interview. "The good news is that smart meters should soon help [consumers] to better control their bills," said Gilligan. "The unspoken secret is that whether we like it or not, huge reinvestment has to go into the grid," he added. For consumers, simply delivering real-time usage information to households has led to a 3% decrease in power consumption, without further automation, Gilligan explained. "Now, when you further automate in the home, you see more. You see a 9 or 10% reduction. But information alone is powerful," he said. With utilities expected to make savings, consumers should also end up reaping the benefits in terms of reduced electricity bills. But that's only the theory, warns EU consumers' organisation BEUC. "What we observe is that energy suppliers install smart meters which have only limited consumer functionalities and sometimes only allow for remote reading of the meter," said Johannes Kleis, head of communications at BEUC. "Such basic meters obviously do not offer any additional benefit to consumer and even risk that they are discouraged by this technology at an initial stage. If the industry is gaining from smart meters, consumers should also share in these gains – for instance by a reduced energy bill," he stressed. Karl Greissing, director and head of the Department for Energy Policy and Buildings in the German state of Baden-Württemberg, said: "At a federal level, Germany has a lot of programmes to increase energy efficiency. The programmes for the federal ministries and banks make a lot of money available to increase energy efficiency in industry and homes". "We want to increase efficiency in primary energy by 2% per year, and reduce energy consumption, but we don't have an exact number," Greissing explained. "Combined heat and power currently accounts for 10% of our power production. We want to double that by 2020. The most important thing is to have renewables account for at least 20% of electricity production. Right now, we're at 14%, and it's not easy to go from 14% to 20%," he added. "We're now concerned with meeting our energy requirements in a sustainable and green way. Energy has become the new driver for that," said Mel Kendal, a councillor in Hampshire (UK) and a member of the county's Climate Change Commission. "With buildings we can have a high impact and there is plenty of room for improvement," said Françoise Dedieu-Casties, vice-president of the Midi-Pyrénées region's department for the environment and sustainable development. "We are using an approach [whereby] whether new construction or innovation, the materials used must be better for the environment; it must use renewable energy sources, consider interior air quality [and] climate design, which considers how [a] building is positioned, the size of the windows and which way they are facing," Dedieu-Casties added. Mieczys?aw Ciurla, director of the economic development department in the Polish region of Lower Silesia, said his region had created a "Regional Economic Programme" to finance concrete tasks from its energy strategy that target energy efficiency and renewable energy projects, including biogas plants, bio-refineries and hydroelectric power plants. Asked to cite the biggest obstacles facing his region, Ciurla replied: "Skills: finding the people with the right know-how and skills to run plants. And resources: the communes should pool their resources to see if it is not worth applying for and building a biogas plant together rather than separately." "In Poland we have very complicated legislation regarding investments in this area, unlike in Germany where these things take much less time. In Poland it is very slow: the preparatory phase of building a biogas plant can take up to two years," he added. "A good sustainable energy programme can also be good industrial policy. We look at sustainable energy programmes and buildings programmes from a range of perspectives: one is climate change. But it's also important economic policy. In the biomass heating industry, we now have more than 6,000 jobs," said Christiane Egger, deputy manager of Upper Austria's energy agency. "Energy efficiency is recognised as the lowest-cost and fastest means of realising energy savings, while also delivering large economic benefits to society. Yet it takes upfront capital to finance most energy-saving initiatives," according to EuroACE, the European Alliance of Companies for Energy Efficiency in Buildings, which lamented earlier this year that adequate financing was not being made available. "To reach the levels of improvements in energy efficiency necessary to meet 2020 targets, financial solutions require both private financing – i.e. ensuring that the market has the right incentives to invest – and public investment – the mechanisms by which public funds can be used to encourage energy efficiency, directly and by leveraging private capital," EuroACE said. Dec. 2002: EU adopts Energy Performance of Buildings Directive. 23 Apr. 2009: Updated Renewable Energy Directive gives priority grid access to renewable electricity. 18 Jan. 2011: German Economy Minister Rainer Brüderle calls for expansion of electricity grid capable of absorbing more renewables. 4 Feb. 2011: First-ever Energy Summit in Brussels acknowledges that further green growth will require high-tech smart grid at cost of about €200 billion. 8 March 2011: European Commission adopts 'Energy Efficiency Action Plan 2011'. 21 June 2011: EU launches 'Smart Cities and Communities' initiative. By end 2011: Commission Communication on Sustainable Construction. Spring 2013: Commission report on progress towards achieving 2020 energy efficiency goals. By 2020: At least 80% of EU consumers should have intelligent metering systems.